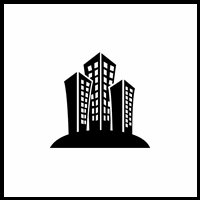 Building defined as any human made structure used or intended for supporting or sheltering any use or continuous occupancy. Since the dawn of civilization human being built buildings. And there are many oldest buildings still stands mostly they are graves, temples or tombs. Most of oldest buildings are also located in European continent. Followings are list of top oldest man made buildings in the world. The Cairn of Barnenez is a Neolithic monument located near Plouezoc'h, on the Kernéléhen peninsula in northern Finistère, Brittany (France). It dates to the early Neolithic, about 4800 BC; it is considered one of the earliest megalithic monuments in Europe, as well as the oldest building in the world, along with the Tumulus of Bougon and Locmariaquer megaliths, also located in Great West France. It is also remarkable for the presence of megalithic art. The chambers are linked by narrow passageways. There are also engraved symbols within chambers of barnenez, depict different animals. Barnenez passage grave in Brittany of France is the oldest known man made building in the world, dates back to 4850 B.C. Barnenez is also the exceptional example of oldest form of architecture remains intact. It stretches over 72 meters and contains eleven burial chambers. It was rediscovered in 1955. The Tumulus of Bougon or Necropolis of Bougon is a group of five Neolithic barrows located in Bougon near La-Mothe-Saint-Héray, between Exoudon and Pamproux in Poitou-Charentes, France. Their discovery in 1840 raised great scientific interest. To protect the monuments, the site was acquired by the department of Deux-Sèvres in 1873. Excavations resumed in the late 1960s. The oldest structures of this prehistoric monument date to 4800 BC. It is an outstanding example of one of oldest funerary architecture around the world. All five tumulus were made of stone and soil. The barrows within the site varies by their size and also have different inner structure. The enormous stones used for the construction of chambers exceeds 30 tons in weight. The Bougon museum also houses many of artifacts from the Tumulus including jewelries, flint tools and potteries. The Tumulus of St. Michel is a megalithic grave mound, located east of Carnac in Brittany, France. It is the largest grave mound in continental Europe. The tumulus was built during the fifth millennium BC. The Saint-Michel tumulus consists of a mound of earth and stones 125 meters long, 50 meters wide and 10 meters high. Explored in 1862, researchers found there a central vault containing a fairly prestigious funerary furniture : axes, pearls, flint tools and sillimanite. It is the subject of a classification as National heritage site since 1889. Scientists discovered many of furniture made of stone from the crypt of the mound. Just like pyramids of Egypt the site also contains many funerary objects. There is also a chapel situated above of the mound. It was built in 1663 and reconstructed in 1926. Monte d'Accoddi is an archaeological site in northern Sardinia, Italy, located in the territory of Sassari near Porto Torres. It is the site of a Chalcolithic structure of the Ozieri culture, the oldest parts are dated to around c. 4,000-3,650 BC and discovered in 1954, in a field owned by Segni family. The structure has a base of 27 m by 27 m and probably reached a height of 5.5 m. It culminated in a platform of about 12.5 m by 7.2 m, accessible via a ramp. It has been variously described as an altar, a mound, a temple or a step pyramid. As there have never been found any chambers or entrances to the mound, it is presumed to have been either an altar or to have served an observational function, as its square plan is coordinated with the cardinal points of the compass. The Knap of Howar on the island of Papa Westray in Orkney, Scotland, a Neolithic farmstead may be the oldest preserved stone house in northern Europe. Radiocarbon dating shows that it was occupied from 3700 BC to 2800 BC, earlier than the similar houses in the settlement at Skara Brae on the Orkney Mainland. The walls are stationing up to a height of 1.6 meters and both stone houses have small door facing the sea. These houses are connected by internal passageways. There are also furnitures made of stone that represent the life of Neolithic farmers. The evidence from the midden of the monument revealed that the Neolithic farmers also kept their cattle, pigs and sheeps within the houses. Knap of Howar was restored back in 1930 and in 1970. Many of finely decorated potteries and tombs of Neolithic farmers also restored from near by places by the archaeologists. Ġgantija (Giants Tower) is a megalithic temple complex from the Neolithic on the Mediterranean island of Gozo. The Ġgantija temples are the earliest of the Megalithic Temples of Malta. The Ġgantija temples are older than the pyramids of Egypt. Their makers erected the two Ġgantija temples during the Neolithic (c. 3600–2500 BCE), which makes these temples more than 5500 years old and the world's second oldest manmade religious structures after Göbekli Tepe. Together with other similar structures, these have been designated a UNESCO World Heritage Site, the Megalithic Temples of Malta. The temples were possibly the site of a fertility rites; archeologists believe that the numerous figurines and statues found on site are connected with that cult. According to local Gozitan folklore, a giantess who ate nothing but broad beans and honey bore a child from a man of the common people. With the child hanging from her shoulder, built these temples and used them as places of worship. The West Kennet Long Barrow is a Neolithic tomb or barrow, situated on a prominent chalk ridge, near Silbury Hill, one-and-a-half miles south of Avebury in Wiltshire, England. The construction of the West Kennet Long Barrow commenced about 3600 BC, which is some 400 years before the first stage of Stonehenge, and it was in use until around 2500 BC. The mound has been damaged by indiscriminate digging, but archaeological excavations in 1859 and 1955-56 found at least 46 burials, ranging from babies to elderly persons. The bones were disarticulated with some of the skulls and long bones missing. It has been suggested that the bones were removed periodically for display or transported elsewhere with the blocking facade being removed and replaced each time. Recent re-analysis of the dating evidence suggests that the 46 people all died within 20-30 years of each other, and that the tomb was open for 1,000 years. Listoghil is the large central monument in the Carrowmore group of prehistoric tombs in County Sligo in Ireland. It is also known as Carrowmore 51 tomb, numbered by George Petrie, The Irish archaeologist and painter in 1837. Listoghil is the main passage tomb in Carrowmore tomb complex in Ireland. It is the only passage tomb in Carrowmore that to have a cairn, a mound of stones. This ancient passage tomb was built over 5500 years ago. Listoghil was excavated in 1990. The cairn and passage of the sit was reconstructed in the same year. Archaeologists also discovered a megalithic rock art from the site, one of rare examples from prehistoric Europe. Sechin Bajo is a large archaeological site with ruins dating from 3500 BCE to 1300 BCE, making it one of the oldest centers of civilization in the Western Hemisphere. Sechin Bajo is located in the valley of the Sechin River, about 12 kilometres from the Pacific Ocean and about 330 kilometres northwest of Lima, Peru. In 2008, a German and Peruvian archaeological team, headed by Peter Fuchs, announced that a circular plaza, 10–12 meters in diameter and constructed of rocks and rectangular adode bricks had been found at Sechin Bajo. Radiocarbon dating indicated that plaza was constructed in 3500 BCE. The ruins of Sechin Bajo cover an area of about 37 hectares, A nearby 2 meter-tall (2 yards) frieze was dated at 3600 BCE. The plaza and the frieze are the two oldest examples of monumental architecture discovered thus far in the Americas. Sechin Bajo may contend with sites of Norte Chico as the oldest urban settlement of the Americas. Pentre Ifan is the name of an ancient manor in the civil parish of Nevern, Pembrokeshire, Wales. It contains and gives its name to the largest and best preserved neolithic dolmen in Wales. The Pentre Ifan Dolmen is a collection of 7 principal stones. The largest is the huge capstone, 5 metres long, 2.4 metres wide and 0.9 metres thick. It is estimated to weigh 16 tonnes and rests on the tips of three other stones, some 2.5 metres off the ground. There are six upright stones, three of which support the capstone. Of the remaining three, two portal stones form an entrance and the third, at an angle, appears to block the doorway. The dolmen dates from approximately 3,500 B.C.and has traditionally been identified as a communal burial. Under this theory the existing stones formed the portal and main chamber of the tomb, which would originally have been covered by a large mound of stones about 30 metres (98 ft) long and 17 m wide.